Enter the exciting and fast growing world of Ayurveda Wellness and Health Care in USA! Unlike “Mail Order” exclusively On-Line Certificate programs. SCNM’s AYT is a real program and requires attendance in a real, physical school. Our staff and teachers will personally guide you in the skill development necessary to have a safe and prosperous Ayurveda practice. No previous experience necessary. However, Ayurveda is a wonderful addition to any existing health or allied health practice. Doctors, Massage Therapists, Yoga Practitioners and Teachers as well as any other modality can gain access to this 4000 year tradition of indigenous, traditional medicine. ACCEPTING ENROLLMENT FOR: January, March, May, July, September, November 2019 and Thailand (April & December! The 1094 Hour AYT Certificate for the SomaVeda® Ayurvedic Yoga Therapist Program is based on Ayurveda’s holistic way of living and health and fulfills Association of Ayurvedic Professionals of North America (AAPNA) ( requirements for a 1000+ Hour Ayurveda Yoga Therapists/ Ayurveda Practitioner Recognition). The SomaVeda® AYT 1094 hr. program includes a comprehensive Ayurveda education that focuses on Ayurveda principles of Yoga Therapy (SomaVeda® Thai Yoga primary modality), Hatha Yoga, Reishi Yoga, Pancha Karma, Sweedana, Shirodhara, Abhyanga, Sneehana, Herbology, Nutrition protocols, daily routines, practices, clinical applications, Classic Ayurvedic, Naturopathic and Modern clinical assessments and preparations that maximize well-being. Meets Association of Ayurvedic Professionals of North America (AAPNA) AYURVEDIC YOGA THERAPIST (R.A.Y.T.) / REGISTERED AYURVEDIC PRACTITIONER (R.A.P.) membership pre-requisites. 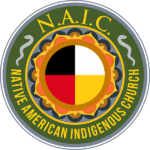 See our NAIC SomaVeda College of Natural Medicine Recognitions! Register with confidence! Experiential, the course is highly interactive and dynamic learning experience. Possible to do the course in only six months to one year! SomaVeda® Ayurveda Yoga Therapists (AYT) Program also includes intensive course work, lecture and practicum in the following subjects: Ayurvedic psychology, 5 elements, 3 doshas, prana, tejas & ojas, 6 tastes, daily regimen, seasons, digestion and diet, herbology, Vedic assessment, evaluation, 5 senses therapies (diet, herbs, aromas, sound, touch, color), Panchakarma theory, yoga therapy, Ayurvedic health management through 5 sense therapies. Along with this, there are 75 hours spent in the direct presence of a teacher and include classroom hours as well as apprenticeship. Live interactive video and audio class instruction (didactic and virtual classroom instruction) counts as instruction in the presence of a teacher. Peripheral Subjects: 186 Hrs These are related subject material such as Ayurvedic concept of Anatomy & physiology, Sanskrit, Yoga, Vedanta and Vedic Astrology. Peripheral course work includes an additional 86 individual Ayurveda Science and Therapy courses in distance learning/ on-line video format. Each of the individual courses includes a separate text/ workbook in PDF format. A 1,000 pgs. plus paperback textbook is included as well. For a list of Ayurveda Home Study Courses included CLICK HERE! Externship/Internship: 200 hours must be spent one on one with a client in consultation. An additional 8 hours of case management may be spent discussing cases with a supervisor or Certified SomaVeda® Teacher. 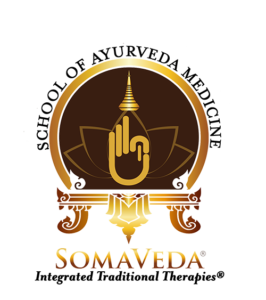 The SomaVeda® AYT Program is a residential based Ayurveda/ Yoga Therapy Practitioner Program and requires attendance in 4 ( 200 hour each, total 800 hours) 27 day intensives (CTP1, CTP2, CTP3, CTP4, Advanced Ayurvedic Program Intensive), plus 108 Externship hours. AAPNA Certified Yoga Therapists Level Membership (Association of Ayurvedic Professionals of North America (AAPNA)) Graduates will qualify for AAPNA Yoga Therapist and or Ayurvedic Practitioner Level Membership, however, AAPNA Membership not included and must be applied for separately. Not Included: AYT Materials fee is $796.00 for all workbooks, text, posters and DVD required. Food and Meals not included. Additional Text Book “Ayurveda: The Science of Self Healing” by Dr. Vasant Lad, available at our bookstore. There is a separate meal plan available listed with housing. Electrical for Camping and or Kitchen use fee. Personal medical consultations and or treatments of any kind with Dr. James or other TYC staff. Personal medical or therapeutic treatments/ consultations are available by appointment at additional expense. See NWS Clinic Menu for details. Special for currently enrolled TYC Students and or past graduates! Can I add this SomaVeda® AYT Certificate program to an existing SomaVeda® program I am already enrolled in such as CTP2, TCP, AWP, ASA, BSSc., DSNM and or Ayurveda PhD? Yes! We can combine the AYT program and Certificate qualifying you for AAPNA Membership recognition for a very low fee. If your currently enrolled or a past graduate of the Thai Yoga Center Certification programs give us a call for some very good news! Eligible programs now include the AYT at little or NO additional tuition! Call TYC / Dr. Anthony James Today! Please Note: On Site Housing is mandatory to qualify for eligibility for maximum tuition scholarships. On-Site Housing is NOT required to attend TYC programs. Non residential students are considered Student at Large Registrations and may still qualify for special pricing based on date of registration and number of remaining available seats in any given class.